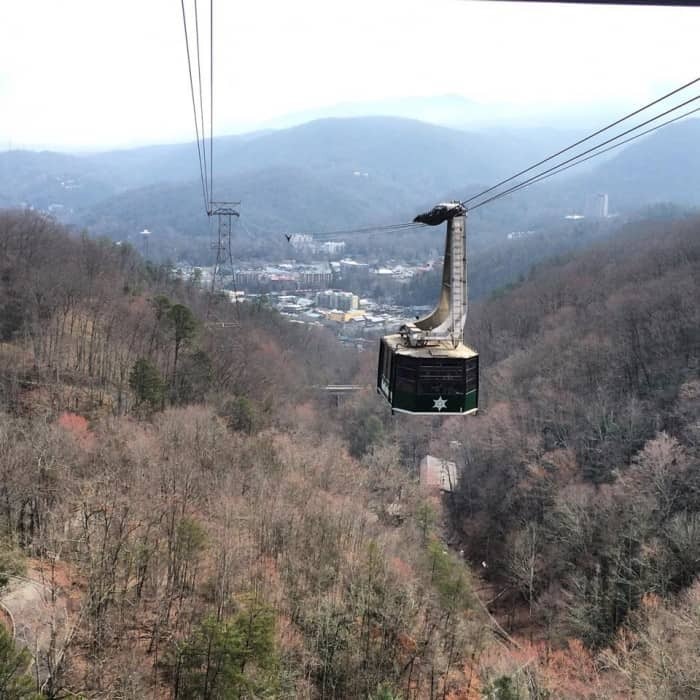 The Aerial Tramway is the best way to get to the top of Ober Gatlinburg. You get incredible views and also learn about the area from your tour operator. You can drive to the top but it’s not really good for your vehicle. 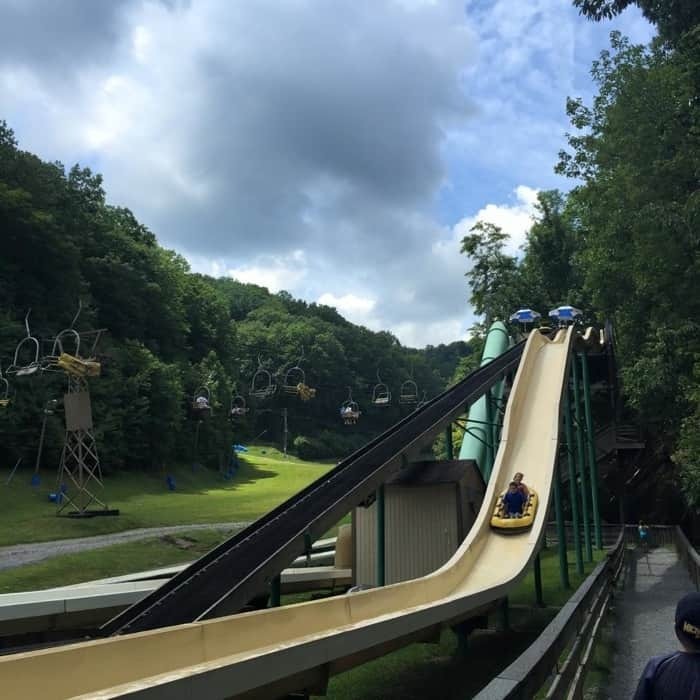 The alpine slide takes an 1800 ft. long track down the mountain. You can race another rider or take your time as you control your own speed. 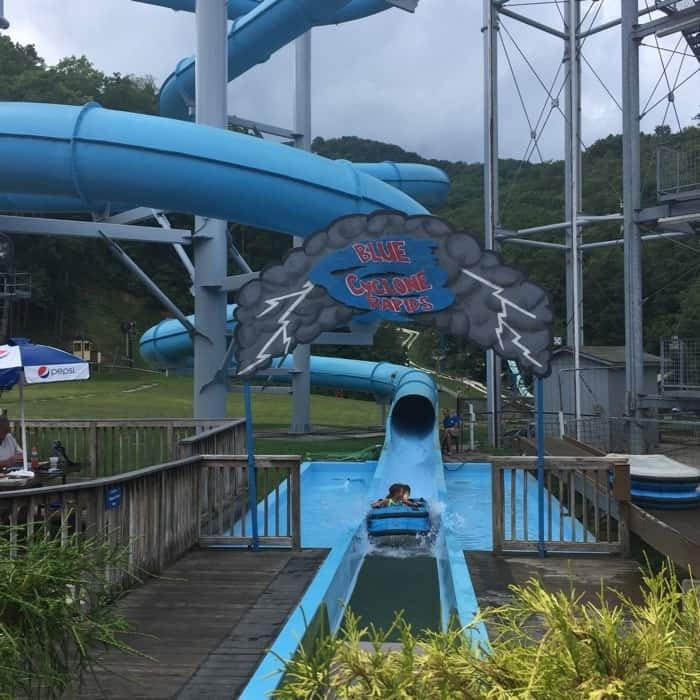 You will want to go on this multiple times! 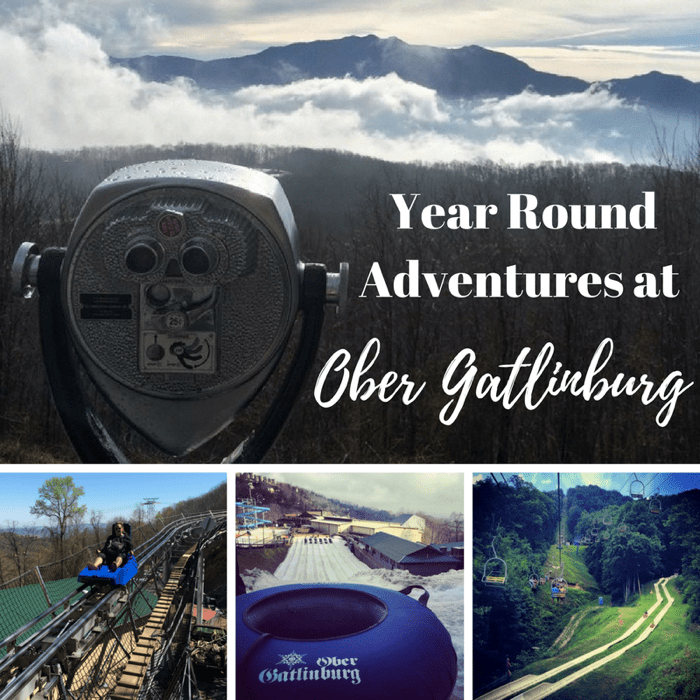 The first time that I took my boys to Ober Gatlinburg was in the late spring. 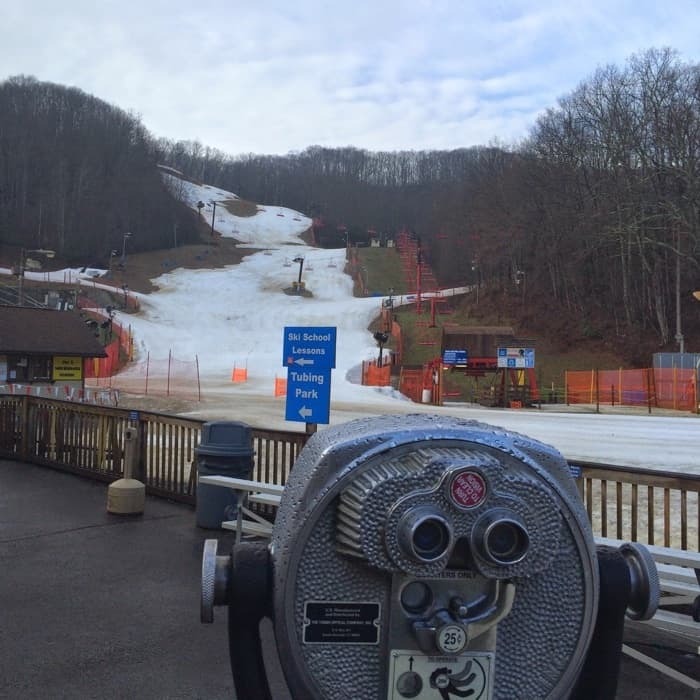 We were able to enjoy the last day of snow tubing on the mountain. We had a blast racing against each other. 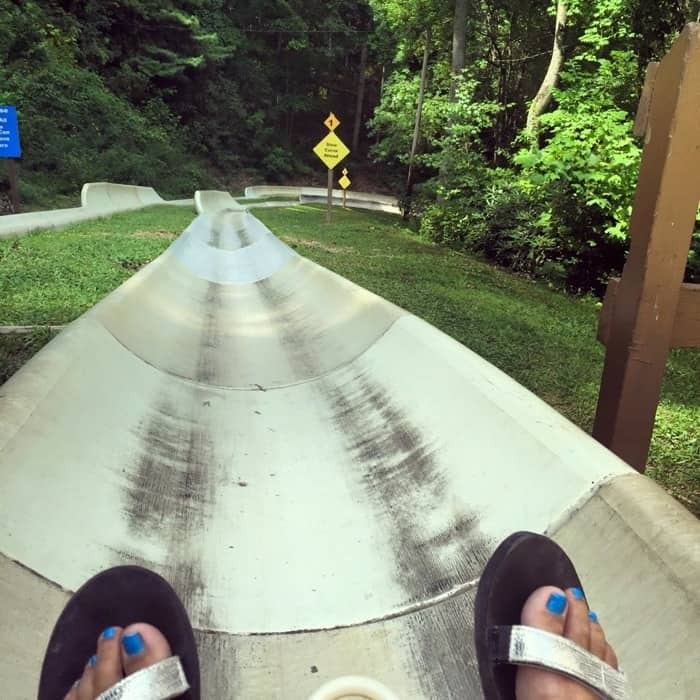 The moving sidewalk made the trips back up the hill easy allowing us to enjoy the best part of snow tubing. The image above is from our visit during the spring when most of the snow had already melted but you can see that the slopes offer multiple slopes for all ski levels. Ober Gatlinburg has rental jackets, pants, and helmets available on a first come, first serve basis if you need gear during your visit. 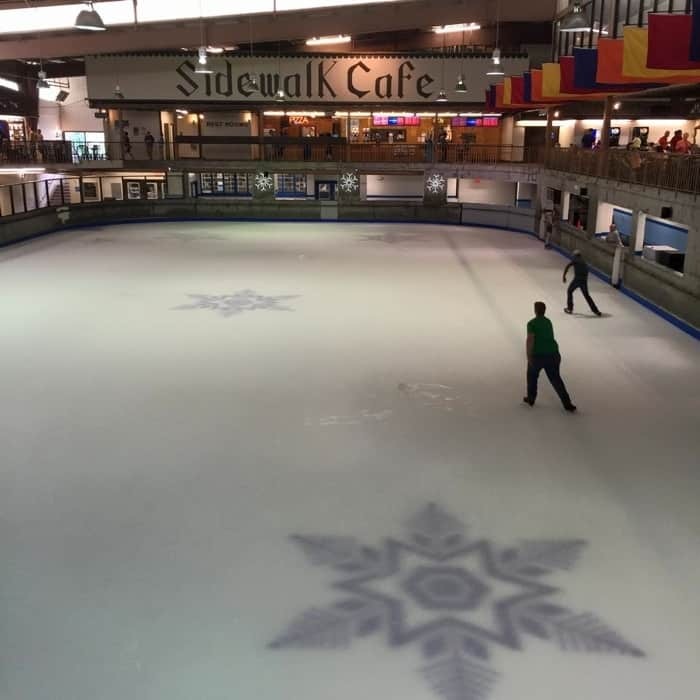 The indoor ice skating rink allows you to skate no matter what the weather is outside. 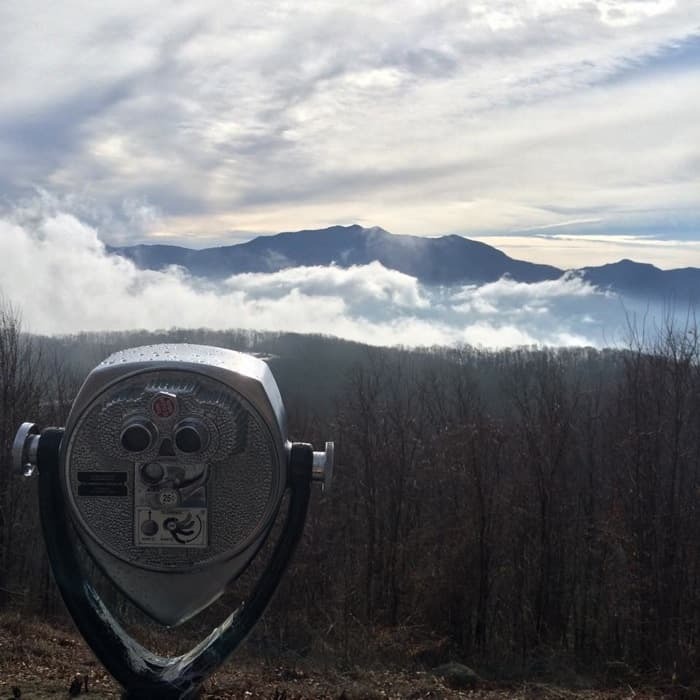 You may or may not see a bear in the wild during your visit to Gatlinburg, but you can definitely see a bear napping or playing at Wildlife Encounter. 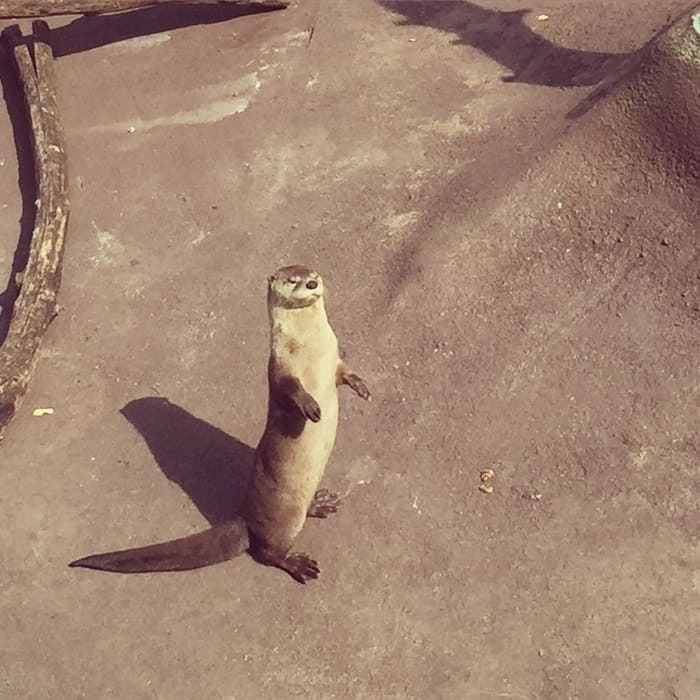 The otters are also fun to watch during their feeding time. The Wildlife Encounter is also home to bobcats, birds of prey and a variety of animals in the Nocturnal House. 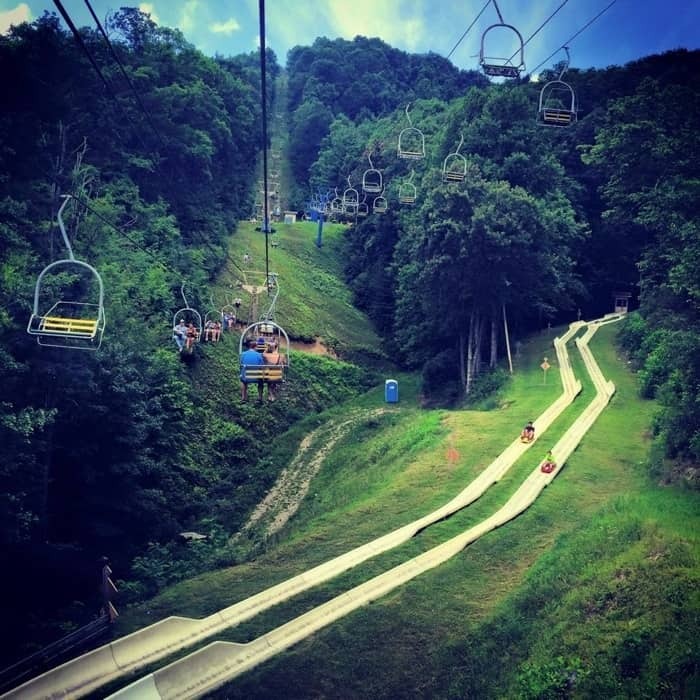 The scenic chairlift is your ride for the alpine slide and to the top of Mt. Harrison. The views from the top of Mt. Harrison are absolutely breathtaking. The maze has several hidden letters that you have to find. It’s harder than it looks. Observers can also get an overview of the maze from a deck above. 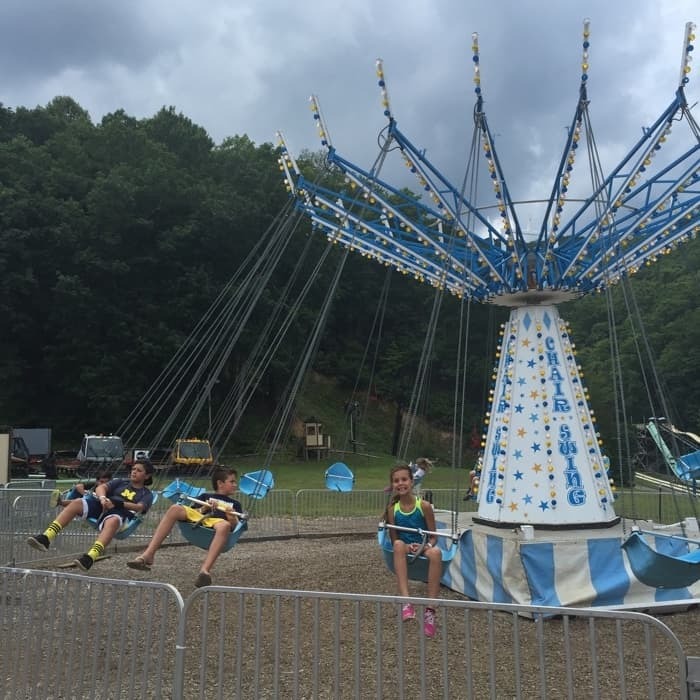 If you have younger kids, they will enjoy the rides and playground just for them. The water slides are so much fun! If you don’t have a swimsuit it’s ok because you don’t get super wet on them. The Blue Cyclone is faster than it looks which is why we heard screams of joy before we saw the kids’ faces. I had to check it out for myself and I see why they loved it and after a few rides down I definitely understood. The Ski Mountain Coaster is SO MUCH FUN! 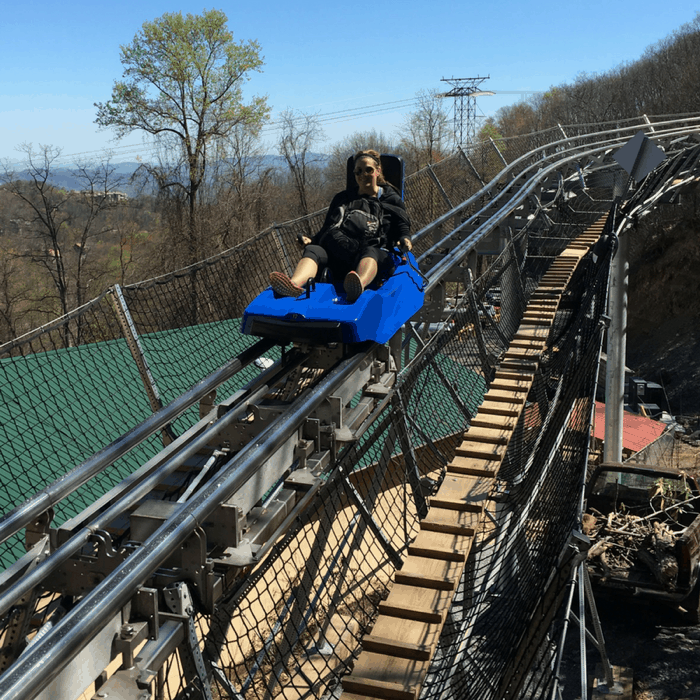 The Mountain Coaster also lets you control your own speed, offers a smoother ride, and can go faster. If you are considering multiple activities I would highly suggest purchasing a wristband for the best value. 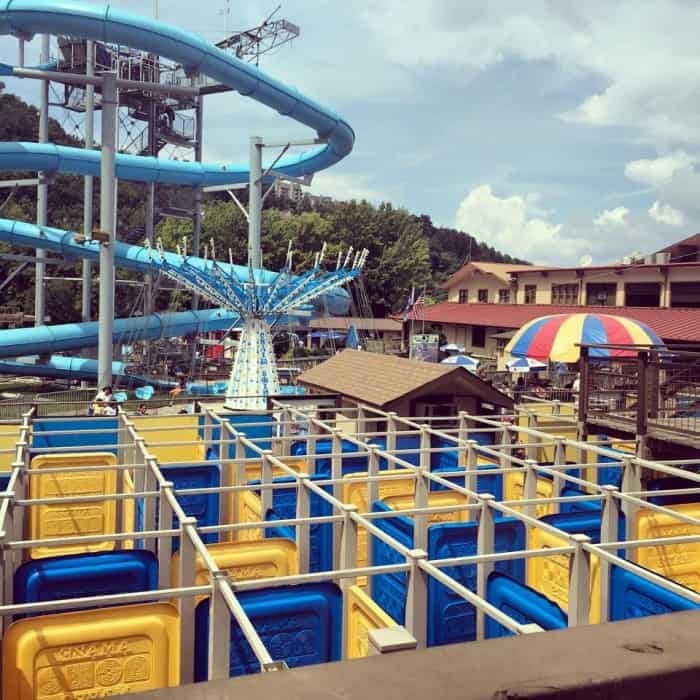 Each wristband offers unlimited use of the all of the activities except the Aerial Tramway or Ski Mountain Coaster. 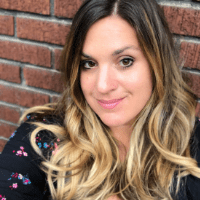 Skiing and snow tubing are all additional prices. If you have a group of 15 or more, make sure that you look into the group rates available. Check the website to find out what seasonal rides and attractions will be open during your visit. 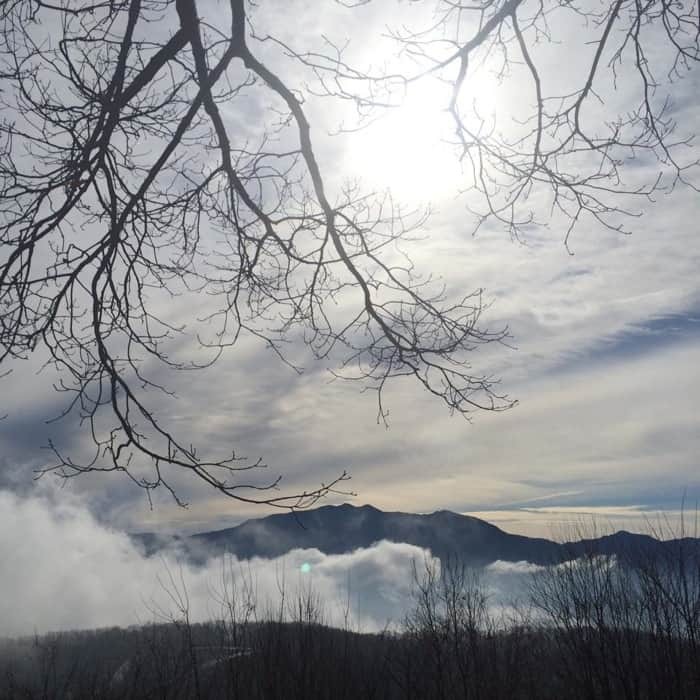 You can find out more about Ober Gatlinburg from their website. 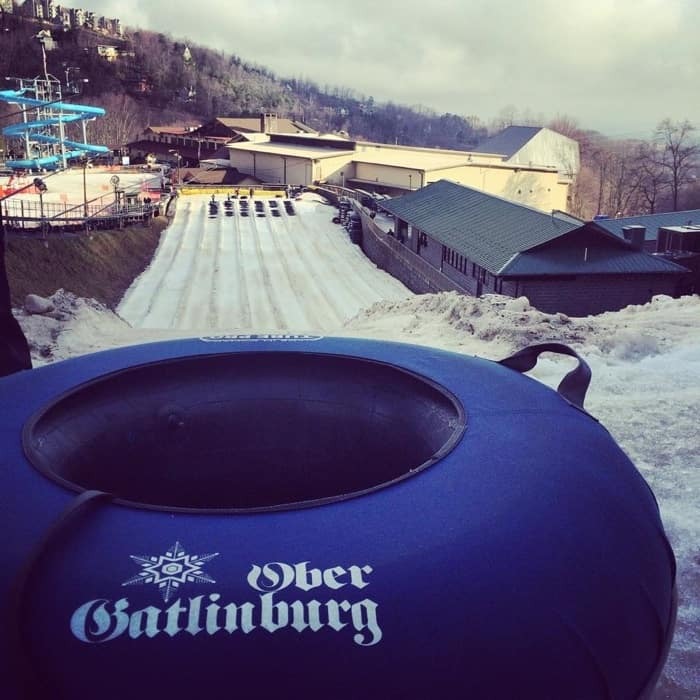 Ober Gatlinburg is located at 1339 Ski Mountain Rd, Gatlinburg, TN 37738. 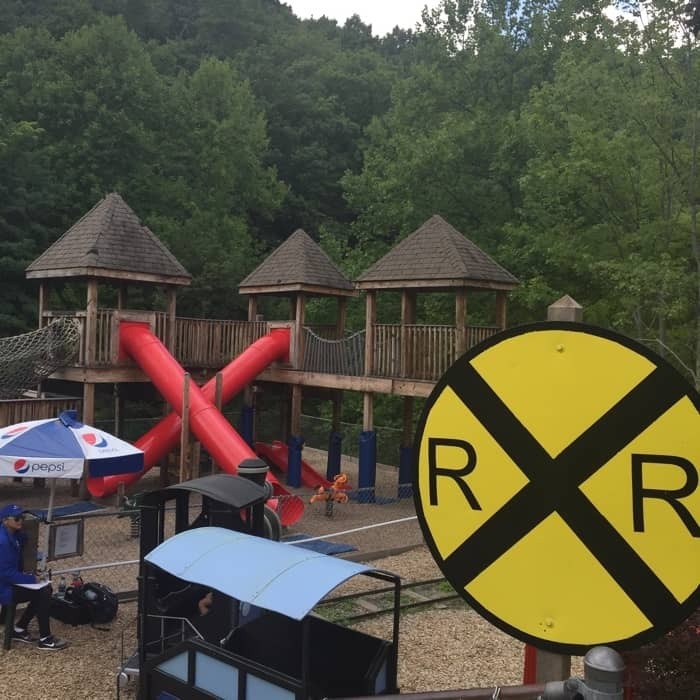 Thanks again to Ober Gatlinburg for hosting our visit.